When you are planning a diet for diabetic people - for your own self or for a family member, there are certain specific things you need to keep in mind. There are certain strict dos and don'ts of a diabetic diet and they should be strictly adhered to ensure that the blood sugar levels are not messed with. Raw vegetables can be added to meals to ensure weight loss and controlled blood sugar. A spike in blood sugar can be very dangerous for a diabetic person and may also be fatal. It is important to keep a strict check on what they eat. 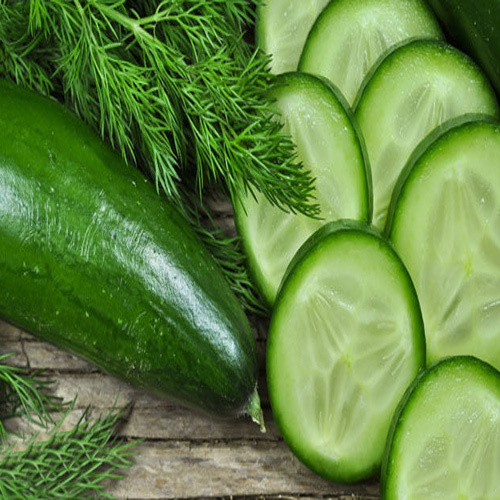 Cucumbers - known for their cooling properties, the presence of water in them and for great effects for the skin should be included in your diet for diabetes to keep blood sugar under control. How does cucumber help in sugar control? A study published in the Journal of Plant foods and Human Nutrition said that type 2 diabetes patients could use cucumbers to lower their blood sugar levels and maintain them at the optimum level. Cucumbers are high in fibre - which helps in lowering down the rate of carbohydrate breakdown in the body and control blood sugar. They are also low in calories and help in weight loss and weight management.